Just like a few little termites can eventually bring down the house by reproducing more termites to eat at the foundation of the house, periodontal disease begins small too. First, poor oral hygiene may give it fuel. Bacteria (together with food particles) in the mouth deposit a clear, slimy layer on the teeth, called plaque. If it’s not removed by tooth brushing or flossing, they hardened and form tartar (not the cream of tartar, but nasty gum-ruining tartar). Tartar can be stubborn and can only be removed with the help of professional cleaning. If plaque is left to fester, it wrecks damage. The bacteria inherent in plaque may cause gum inflammation, causing the gum to become red, swollen and to bleed easily. 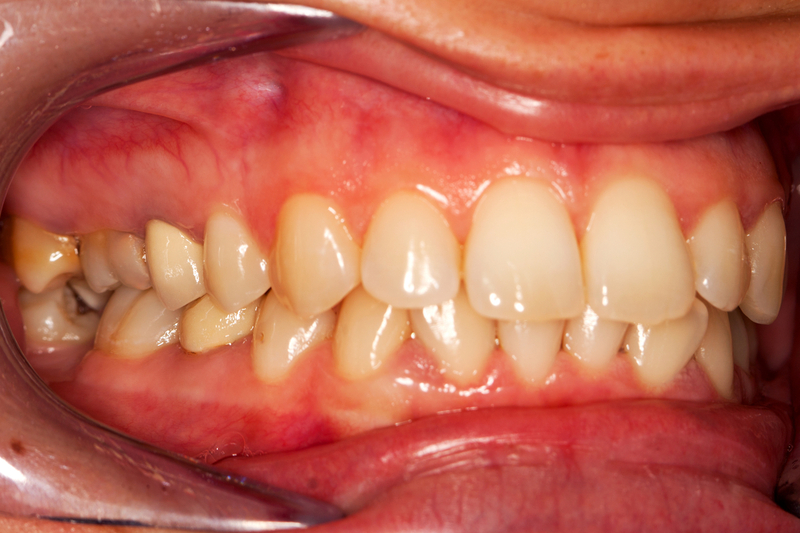 The dentist refers to this mild form of periodontal disease as gingivitis. It’s the beginning of the slide, unless you seek dental treatment right away. Unless gingivitis is taken care of, the plaque will continue its sure and sly work, causing the gum to pull away from the teeth, leaving “pockets” between the gum and the teeth, opening it up to infection. As the body tries to fight off these bacterial invasion of the gums, bacteria toxins formed and they break down the bone and connective tissue in the process. If it’s left unchecked, they will gradually destroy the bones, gums and tissue that support the teeth. The sad result? Loss of teeth. How can you make sure you’re not a victim of periodontal disease? Watch out for these telltale signs: perpetual bad breath, red, swollen gums that bleed easily, receding gums, longer-looking teeth, loose or sensitive teeth. If you’ve any of these symptoms, a visit to the dentist is necessary, even crucial. Because periodontal disease can inflict serious damage in the long run, nipping it in the bud is your best bet. Call us today for a comprehensive dental exam.